Happy New Year! It was so fun to look back on my Goodreads list and remember all the amazing books I was blessed to read. This is a list of my top 10 historical fiction books that I gave 5 stars, along with my reviews- my thoughts on what made the book stand out! What an amazing reading experience! I was completely transported to the historical setting and the story which never felt rushed, but never felt slow either. Since my parents took my sisters and I camping and backpacking often, I've loved the outdoors and exploring the mountains. The descriptions of the wilderness and how Sion and the surveying team worked to establish accurate maps and guides was fascinating. I loved that Tempe was an explorer of the country too, and that she appreciated the little wondrous details of nature. The author did a great job of depicting the grim realities of the harsh frontier, including violent encounters with Native Americans, without being disturbingly graphic. Tempe and Sion are both weighed down by grief that hasn't passed by, but their developing relationship begins the healing process, and amidst the chaos of warring Indians on the move and the unforgiving wilderness, there is an undercurrent of peace and blossoming romance. The personalities of Tempe's family and Sion's team are vividly portrayed and provide opportunities for conflict, growth, and compassion. 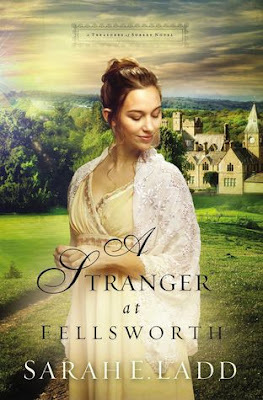 Whenever I read a historical novel by Jennifer Moore, I'm guaranteed to be swept away to an earlier era and the location is always unique to any other book I've read! 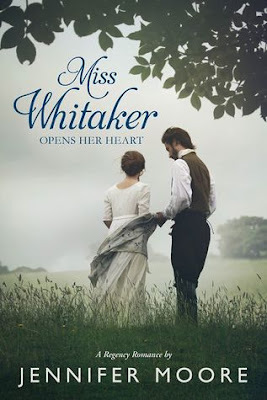 Miss Whitaker Opens Her Heart is no exception- I was completely immersed in early 19th century Australia, and the dynamics of the community and politics there were fascinating! I loved learning details about the lives and hardships of the people who relocated there from Europe. The characters are developed so well that I felt like I knew them and was invested in their decisions and hoping for a happy ending, especially for Sarah who suffered the loss of the people in her life who loved her. The themes of overcoming prejudice, compassion, and forgiveness are strong as Daniel and Sarah are confronted with life-changing decisions. I loved their friendship and budding relationship, which developed naturally over the course of the story. There's a quality to Sarah Ladd's writing that is restful to me, even with the tumultuous circumstances of her characters. I so easily sink into the story and am immersed in the setting. I loved seeing Annabelle take her future in her own hands and sacrifice her comfortable lifestyle for her freedom and peace. Owen is a hero that grows on you with his quiet strength and I loved his connection to the forest and land. I enjoyed Annabelle's uncle and aunt as stabilizing characters in her new and very different life. There are elements of suspense as Annabelle is in hiding from her brother and Owen is investigating the network of poachers on the land he is responsible for. The pace steadily builds as relationships deepen, secrets are uncovered, and the complex dynamics of the lives of the characters are intertwined. Annabelle and Owen both grow in their faith as they turn to God for comfort and guidance. 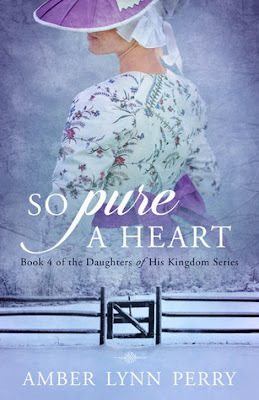 I've loved the Daughters in His Kingdom series, and this book is a perfect addition as the memorable characters become involved in the Revolutionary War and fight for liberty and independence. The tension and suspense is seriously ramped up in this book since the two main characters, Hannah and Joseph, are involved in espionage and the risks are greater than ever. I absolutely loved the setting and era, and reading this story made me want more- to find some real life accounts of Patriots to study. The language the author uses for her characters and narration reflects the era while still remaining easy to understand. 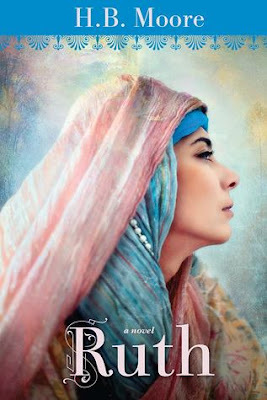 I believe that plays a large part in feeling transported to the time and place of the story, and I felt an instant connection to the characters and their strong emotions during such a turbulent time. The romantic tension between Hannah and Joseph is off the hook and while their bittersweet past brings plenty of angst, there are also moments and scenes of sweetness and happiness from their relationship. I feel like the message of patriotism and taking a stand for what we believe is more pertinent than ever in our day, and I appreciate the profound thoughts of the characters as they discover what the cause means to them and what they are willing to risk for it. Wow. I was not prepared for how much I would love this book! All the characters really come to life and practically jump off the page. I was fully immersed the entire time I was reading and it was too hard to put down. The introduction and the beginning of each chapter is told from Collin's point of view, flashbacks to his youth and earliest interactions with Katherine. The present day narrative is from Katherine's perspective, and I really liked her personality and determination. She doesn't remember her childhood experiences in Scotland so we got to learn along with her the complex dynamics and history between the different clans and the English. Despite the harsh traveling circumstances she thrives in the beauty of her homeland, and her relationship with Collin blossoms gradually and wonderfully. I loved the give and take between them, the devotion and loyalty, and hesitant feelings maturing into full romance. There are deep layers to Collin that Katie seeks to uncover and know as she falls in love with him and wants to support him and his burdens. There is an element of intrigue as Katherine sorts out political loyalties and where her place is in all the drama and hopes for the future. I am *so* looking forward to the second book and seeing how she confronts her enemies and becomes a leader in her clan. What an epic story! 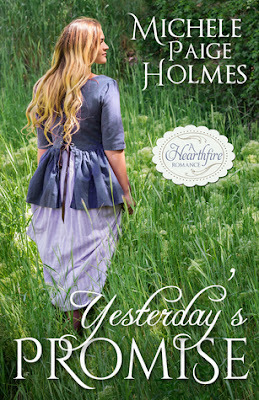 I was completely immersed in the time period and setting with Clare as she fights for her son. It's definitely a heartbreaking journey and the process of change she goes through is profound. Jeremiah's support and patience is a Godsend to her, although she doesn't always see him that way when he doesn't act as swiftly as she'd like. The struggles and experiences portrayed seem unreal, but I know that they are based on history and the realities that settlers and natives faced. I appreciate the meticulous research of the author and I feel like it really made the story come to life. The powerful themes of waiting on God and trusting that He will work all things for our good are strongly felt in the long journey Clare and her family are on. This book starts out mild and unassuming, then packs an emotional punch, and wraps up with the happy ending you didn't think would happen. I slowly fell in love with each of the characters and their strength during times that become increasingly dangerous. Ada's devotion to Ned and her ideal for a home full of love and laughter despite her upbringing is wonderful and supports her during the trials she endures. I especially liked seeing Ada's spiritual journey throughout the book as her faith grew little by little with Ned and Minnie's examples. The historical nuggets from wartime London were fascinating and really made the story come to life in a special way. I can't fully comprehend what the people went through during that time, but this book offers a glimpse into the hardships and heartbreak, and also the hope and perseverance. Of course I don't want to give away any spoilers, but I felt like the middle part of the book is where I began to emotionally connect with Ada and her little circle of family and friends, and I shed some tears at several points in the story. It made the last part of the book that much sweeter as God's promises are fulfilled and Ada's joy deepens with an abundance of blessings. 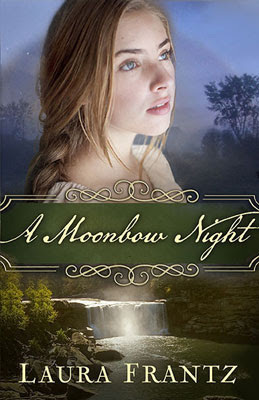 I loved the romance, the history, and the emotion in this unforgettable story! Sian Ann Bessey has quickly become one of my favorites, and once again I was completely transported to medieval times and immersed in the story. I loved the characters from the beginning and really felt for them with the intense trials they endured with strength. It has a steady pace with action interspersed and a climax that had me biting my nails! Childhood friendship that blossoms into love is one of my favorite types of romance, and I thoroughly enjoyed the sweet relationship between Edmund and Pippa. There are powerful themes of loyalty, sacrifice, and inner beauty that made the story deeper and more meaningful. Loved it! 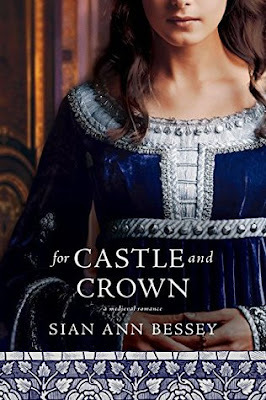 The details of Cora and Adam, the duke, really made the story for me, as well as their mutual yearning for unconditional and affectionate love. Cora is passionate about horticulture and loves plants and flowers, even trying to rescue the plants that are getting waterlogged in Hyde Park and worrying over the wheat crop of England. Adam is struggling with a lingering injury from Waterloo and the sorrow and grief he has over losing his entire company of soldiers to the violence there. The initial attraction they feel for each other is unexpected and Adam's infatuation with Cora leads him to seek her out and discover her true characteristics beyond the ballroom niceties. Cora's controlling mother is a complex character- at times seeming the villain in her treatment of her daughter, but also had me curious if her motivation was merely selfish or if she truly had deeper concern for her daughter's future well-being. 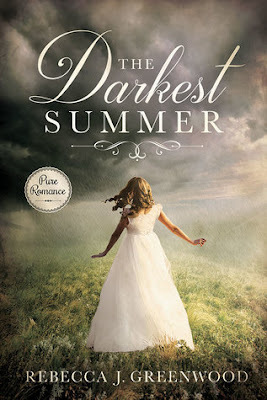 While the pace at the beginning of the book is a bit slow, once Adam and Cora are off on their adventure the plot really spices up and emotions are brought to the surface and forced to be dealt with. Adam's closest servants that accompany them provide humor and more depth as their loyalty and regard for him reveals his true nature. 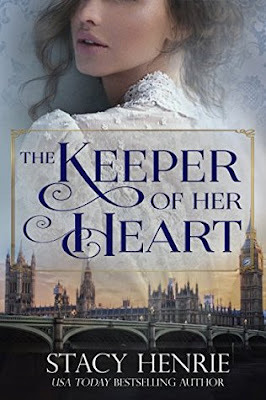 A wonderful Regency novel with sweet romance and excitement! 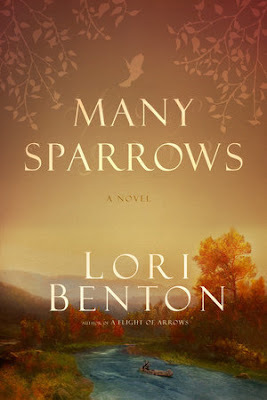 Once again I was completely immersed in the setting and in the lives and emotions of the characters! I absolutely loved how the author brought the familiar Bible story to life with historical details that are shared with authenticity. We meet Ruth and Boaz just before each of their lives are about to change drastically and witness their grief and transition as they adjust. I loved Ruth's relationship with Naomi and the wisdom she learns from her. Ruth's loyalty and devotion to Naomi speaks of her character and does not go unnoticed by Boaz. Their relationship develops as Boaz protects Ruth and the various members of their families urge them each to remarry. The emphasis on faithfulness and virtue as desirable attributes in a wife and kindness and goodness as desirable attributes in a husband was refreshing and made me admire Boaz and Ruth for the choices they made. A wonderful Biblical novel that made me appreciate the sacrifices and lives of these historical individuals. Did you make it to the end??? What are some of your favorites from 2017?